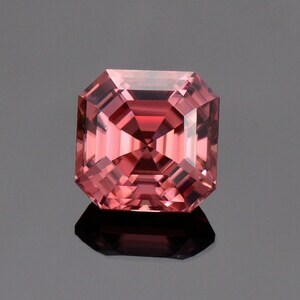 Size: 7.06 x 5.14 mm. 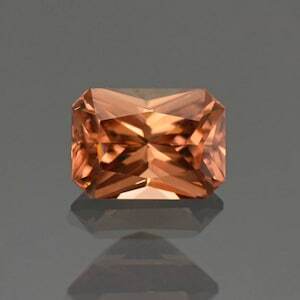 Here is a fantastic new Zircon! This material was mined in the Australian Outback over 20 years ago. It was a hand dig operation by a couple of Opal miners that were camping, and discovered the locality. This material had been sitting in a garage in Australia since it had been mined, until now. We were lucky enough to be offered the rough because it is exceptional quality. 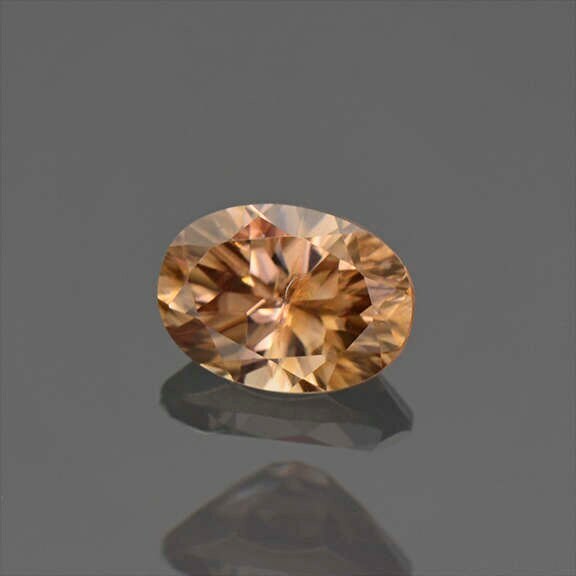 This gem has the same color as most of the Chocolate Diamonds on the market and looks excellent with the concave cutting. 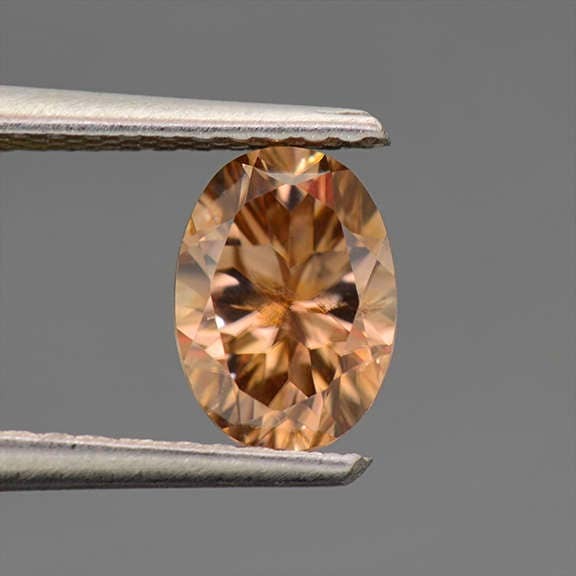 It has a radiant concave round cut that is breathtaking. Concave cutting is created with cylindrical burs instead of traditional flat faceting. The effect is an exceptional radiant light return and unique pattern. The table is still flat faceted to allow for optimal light return. 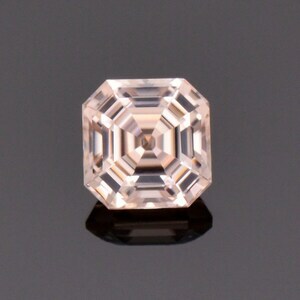 This beauty will make a stunning center stone for a ring and will be as elegant and breathtaking as a Chocolate Diamond. Enjoy! 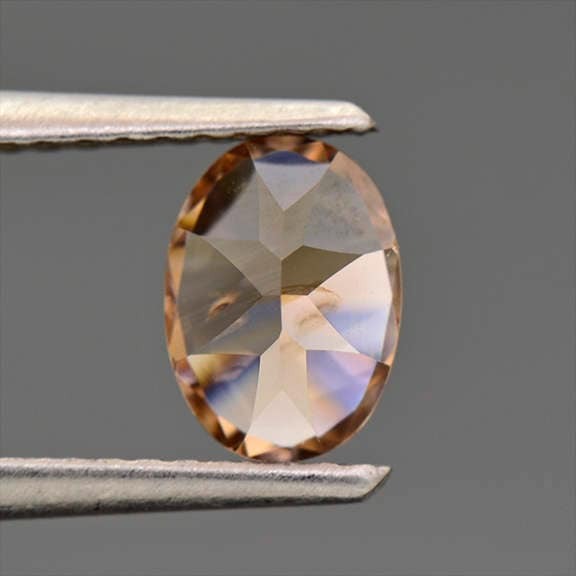 Lovely Champagne Peach Zircon Gemstone from Tanzania 1.34 cts. 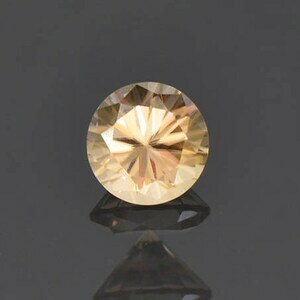 Stunning Peach Bellini Zircon Gemstone from Tanzania 2.20 cts.